Today’s Morning Buzz is by brand new Morning Buzzer Anna Marum – connect with her on LinkedIn and Twitter! First of all, what is an economic development organization? At its most basic level, an economic development organization (EDO) is an entity that works to enhance the prosperity of the communities it serves. This work is different for each community, and can include attracting new companies, helping existing companies grow or assisting entrepreneurs with their businesses. EDOs take many forms. They can serve cities, regions and states. In some cases, regional EDOs – such as Greater Portland Inc (GPI) – serve communities across two states. EDOs can be supported exclusively with funding from either the public or private sector. Others, such as GPI, are public-private partnerships, with funding from both government and businesses. So what do EDOs need from communities? Having all of this information enables EDOs to market a community to specific companies. Sometimes companies approach EDOs, but more often, EDOs proactively market their community or region by leveraging relationships, attending industry conferences, going on sales trips, cold-calling prospects or by using targeted digital marketing campaigns. How can local governments best work with EDOs? Tell them what you want. What are your community’s priorities? Are you looking for an advanced manufacturing company to build a new facility and add 50 family-wage jobs? Or are you looking for high-paying tech firms to lease space in a newly established business district? Be clear about what you expect from the EDO, and vice versa. Engage regularly. Things change. New leadership has different goals, new sites become available, land-use laws change, and new types of companies may be looking at your community. That’s why it’s crucial to stay in regular contact with regional or state EDOs. Keep them updated on what’s going on in your community (after all, how can they market a new site they don’t know about?) and give them feedback. They’ll appreciate it. A strong partnership between a community and an EDO can result in a stronger economy and more opportunities. Don’t miss out! Identify the EDO or EDOs supporting your community. Ensure you have the relevant community data available on developable sites, workforce and infrastructure. Identify your community’s priorities when it comes to economic development. Reach out to your EDO and start that conversation! Anna Marum manages marketing and communications for Greater Portland Inc. Greater Portland Inc provides support and services to companies seeking to relocate or expand in Greater Portland, a region that spans two states and seven counties. 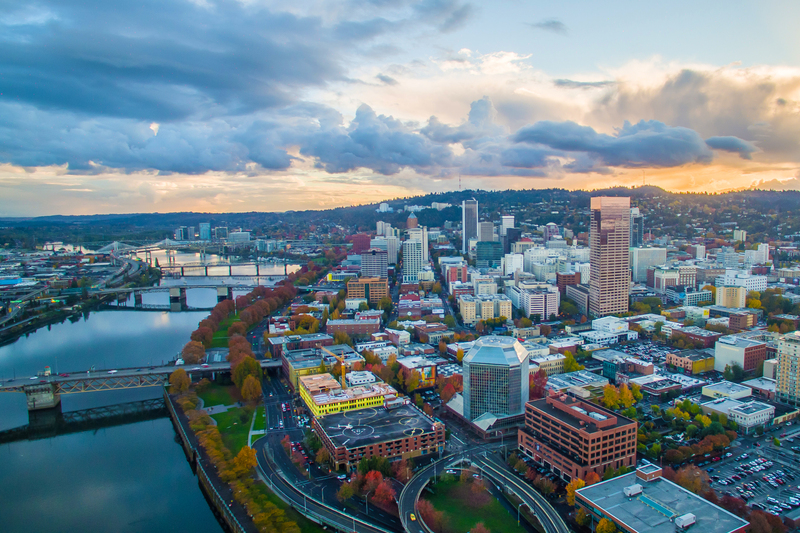 A true public-private partnership model, Greater Portland Inc is supported by more than 70 public-sector partners and private investors who are committed to advancing regional economic development through job growth and investment. Greater Portland Inc and partners shape the region’s economic future and market the region to the world. Learn more at greaterportlandinc.com.